Portuguese Securities Market Commission (CMVM) has added one more unregulated forex broker to its warning list last week. The regulator issued a formal warning against Trader.Online as the broker is not authorised to carry out any type of financial intermediation activity in Portugal. The Portuguese Securities Market Commission, also known by its initials as “CMVM”, supervises and regulates securities and other financial instruments and activities of all those who operate within said markets. It is also CMVM’s mission to ensure the stability of the financial markets, by contributing to identify and prevent systemic risk and contribute to the development of financial instruments markets. Trader.Online is operated by IVY Capital, an offshore company registered on the Marshal Islands, and is not authorized to offer forex and CFD trades in Portugal. Besides Forex Trader.Online also offers CFDs trading on commodities, stock, indices and crypto coins. There is one more company behind the brand’s name, DDK Ltd. that claims to be registered in Bulgaria. However, the company is not licensed by Bulgarian Financial Supervision Commission. We have also found a lot of negative reviews from the traders. Some of them cannot withdraw their funds and profits, others haven’t heard from broker since their first deposit. It seems that Trader.Online is just one more unregulated company trying to deceive customers. Generally, we always advise traders to avoid dealing with unregulated forex brokers, as most of them are involved in investment scams. There are a number of properly licensed brokers to choose from, like the ones regulated by the FCA or the Australian Securities and Investment Commission. In general condition, the Russian market operates through its strict centralized nature and governmental influence on its development. Since the Forex industry gained its popularity and spread to a Russian market as well, the majority of offered trading services was managed through offshore brokers. The industry players maximum participated to Russian self-regulatory organization CRFIN, yet it was never a broker’s obligation to enter. In addition, earlier in 2015, the first deputy head of the Central Bank compared the forex market to a casino and said that the regulator is not interested in the onward development of such companies in Russia. However, starting from 1 January 2016 Forex brokers that operated in Russia were required to get a license from a Bank of Russia, as the government understood the necessity of regulation. This statement affects a number of brokerages that expressed concerns about their legal operation in Russia from now on. The board director of CRFIN mentions that the new law will protect forex brokers and prevent fraudulent entities, as well as set active clients’ interest towards investment with a reliable broker. Years of non-licensed brokerage activity finally got an implementation of a regulatory regime. The application of the companies towards their license receiving appealed actively by the largest brokerages, as the companies welcomed the development of a regulated environment in Russia. Back in 2016, when forex brokers were about to receive professional licenses in the securities market, the first firms Alpari and Forex Club were named as the largest players in Russia, while the first firm was Finam investment holding. Among required obligations and new laws toward Forex Brokers, the Bank of Russia set a capital minimum amount of RUB 100 million ($1.5 million), high qualification criteria, strictest supervision of operation along with a necessary requirement towards top management of the company and its staff members. The companies are also obliged to pool funds into a compensation fund with a purpose to reimburse clients in case of broker’s insolvency. In addition to these requirements, earlier this year 2018, the authority updated its statements and requirements towards Forex leverage limitations and looks forward to setting up a maximum level of 30:1 and allow trading strictly on forex related products. That step was a quite logic due to a recent introduction of a leverage cap by European authorities and amendment of the trading offer accordingly. However, the members of Forex organization operating in Russia were rather disappointed, as typically assets offering to diversify its exposure to the volatility of various classes and a much higher level of leverage. In fact, until now Bank of Russia did not issue or register a large number of licenses, as this may take place as a general Russian conservative opinion about forex industry or just a consequence of a better offshore establish proposal in Russia. Since the beginning and until now there were only nine brokers which obtained its legal licenses of forex dealers from a Russian central bank. The opinion of experts mentions that in fact, the Russian forex brokering is a very specific case, since the Central Bank did regulate brokers until now, gave its permission to operate, yet the companies found their way out to maintain “better process” in their own interest. As the licensed companies are mainly international holdings with numerous subsidiaries, the majority of trading accounts indeed were opened with offshore entities, while Russian jurisdiction branches took a responsibility mainly on advertising. The purpose of these is to attract new clients and ensure constant influx, while the account management goes through an offshore specification. The regulatory reports that brokers submit were consistent of performance data, while the initially small number of accounts were operated throughout Russian entity and hiding its real nature. In conclusion, it came to the point that the latest breaking news just before the end of 2018, appeared to revoke of five licenses, of the largest forex companies operating in Russia and providing clients to markets and trading. As the Central Bank reporting, the reason for the decision was that these companies repeatedly violated regulations and legislation of the Russian Federation. (Read on more about 5 licenses annulation by the link). The representatives of revoked companies were surprised by the Central Bank action, as the brokerages just a day before participate into summit where the trading markets were discussed too and nothing showed a potential of regulatory increase. Therefore, Russian trading industry does not know what to expect next, however, it’s obvious that the latest actions and plans show that the Bank of Russia made it seriously to clean up the market and develop further trading offering in a more trustful, sharply regulated way. The current increase of regulation and revoke of licenses that brokers were definitely not ready to face, will affect the operation of brokers in Russian markets, their development and specifically the legal side of service delivery in Russia itself. Russian economy had always shown its centralized way of operation, and recent action towards the relatively young Forex Russian market will act on a better way towards the traders, as these steps mean a serious claim to enable clear and well-regulated operation of Brokerages in Russia. 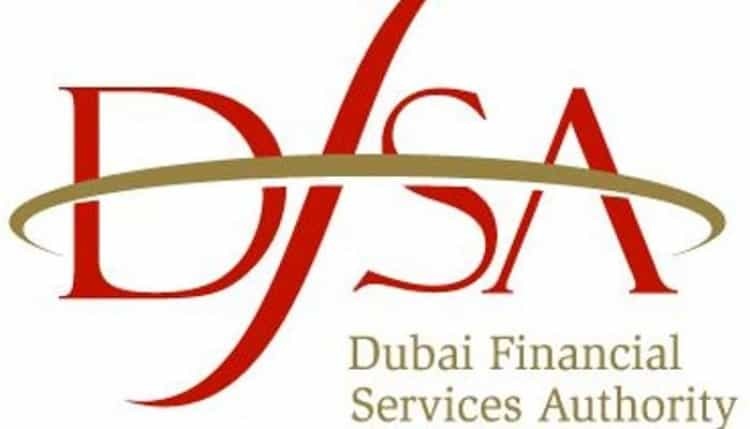 What is more, the last official permit was received by an Alfa Forex company just a week ago in December 2018. The broker previously accepted Russian clients throughout its Cyprus subsidiary Alfa Capital Holdings Cyprus Limited and has a long history of operating in Russia itself. The newly licensed Russia broker mentioned that the company applied for its license in May, and already by December became an official member of the Association of Forex Dealers. This act confirms Bank of Russia concerns and forward look on trading development and regulation of the Forex offering within Russia territory, as well as a growing potential. Yet, from now on Russia strongly welcomes only those companies that deliver clear and transparent brokerage operation throughout compliance with Bank of Russia regulation. What is Binary Option and how to trade them? Find out who are Binary Options Scams, how they work and how to avoid falling into a trap? While the main aim of scammers is to get clients funds or personal details, everyone likely to fall under unlikely actions of scams, that is why you should know how to protect yourself and spot fake offering. Binary Options is a financial instrument in which trading is performed by a fixed amount of cash and time. Options trading allows investors to buy a stock or other investment, or bet set to an underlying asset above a certain price with a particular expiry date. The potential loss or gain is limited to the difference between the market price and the option price itself. In binary option case the set amount of time is much shorter and in fact, is a short-term bet on the asset direction. The Means, if the trader’s guess is right, you get set amount of money from the other, while in case of opposite “guess” or if you are wrong you lose it all. Since the binary and options trading appeared as an attractive offering among financial investments, the whole business got involved in its discussion of trustworthy operation or not. Its popularity explained by open access to anyone who seeking for an investment opportunity and allegedly allows to enjoy high incomes in a very short time. Yet, let us look closer to the opportunity itself. The binary brokers as a typical mean locate their offices primarily in offshore zones and other jurisdictions that did not imply the strictest regulation to financial investment firms. Therefore, the company will enable their operation with a very low requirement and capitals while as a general rule will claim its presence in prestigious jurisdiction alike UK, Hong Kong, US or another European country. The phone number may appear to be a local line, but eventually to have the end user in the option trading hub somewhere in the world. Therefore, binary scam gear towards investors and promote fake binary trading software through easy for unscrupulous providers to take the advance. Most often binary frauds use heavy advertising tactics through a social media, advertising on websites and emails with a redirection to a very-well developed websites with an allegedly professional offering and a very attractive opportunity of gains available to everyone. The majority of binary option scams lure traders with a very small initial deposit and “free bonuses”, and most often it is enough to get interested in. Further on an options broker will ask for credit card information and eventually, that’s where the positive side finishes. Then, the trader puts his life savings into “potential investment and gains”, but faces the loss of everything. The attempts to get money back turns out to be unsuccessful with further stress from understanding what happened. The main trap in binary options trading is that firm may easily manipulate software and distort price which will lead to sudden loss of the trading account and balance. Furthermore, the scam brokers may use credit information to withdraw funds from the cards, therefore you should be extremely cautious about giving the credit details. As the nature of Binary Options trading allows company providers to operate the “business” easily as well to enjoy high incomes to their pockets, the industry shows its growing tendency constantly. However, the situation has now changed due to better regulations and observance that keeps track on scams. Securities and markets regulators across international jurisdictions received thousands of complaints as the binary options providers’ target investors aggressively, yet, the truth of victims is far beyond the received number of complaints. While Binary Option is often categorized as a sort of gambling by the authorities the binary options broker may be a registered firm in particular or offshore place, yet the firm is not allowed to sell its offering to residents of other jurisdictions. The authorities and international trading industry regulators regularly check on the trends and actions performed or offered by various brokers with a purpose to protect clients and maintain a trustable or smooth market operation. In regards to binary options trading sites, the most trusted regulators issued an Investor Alert, with an advice not to involve in binary trading at all and even banned binary options to retail traders. The agencies mention that numerous complaints received and relatively easy way to manipulate software or to generate losing trades during the binary options trading delivery involves significant risk to be involved in fraudulent activity. The authorities then identified thefts through a fixed-odds betting nature of the binary options trading and try to educate the population and warn about fraudulent promotional schemes. 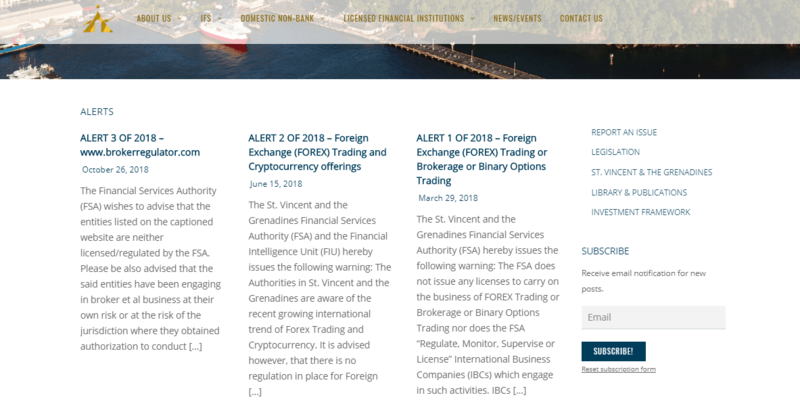 In 2013 US regulators CFTC and SEC officially joined and published an alert to investors along with a ban on binary options trading to the residents. The Canadian authority mentions binary option fraud is a leading investment fraud that facing potential investors, while there are no registered firms permitted to trade these products in Canada. The European ESMA along with the respected EU authorities followed by series of warnings and from 2 July 2018 banned firms from selling binary options across the EU. While the ban is for a three month period, a further extend took place from 2 October and continues. 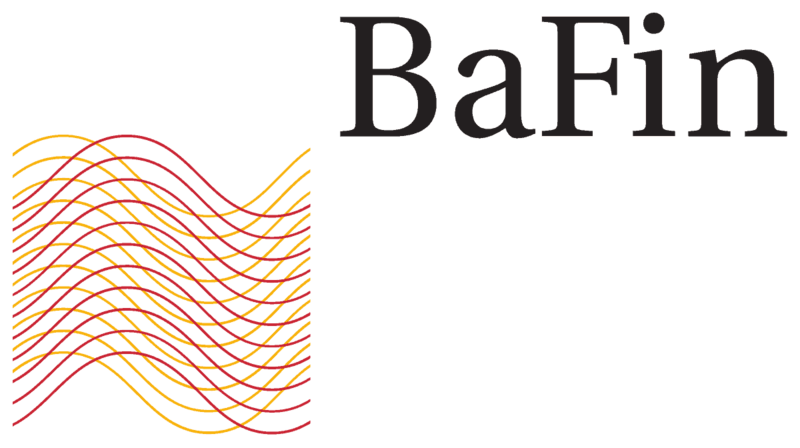 Recently, on November 2018, German Federal Financial Supervisory Authority BaFin announced that it is planning to prohibit the marketing, distribution, and sale of binary options to retail clients at a national level. Overall, mostly all respected regulators confirm a fact of an extreme risk involved in binary trading, therefore the majority of authorities alerts if you are offered binary options it is probably a scam. After all, there are too many tragic stories about binary options victims, it became so common that the authorities try their best in order to prevent a population from fraudulent. However, the regulators are not able to power each and every offering or specific jurisdiction where most of the scammers based. In many instances, you should protect yourself and be aware of an interaction, that takes place with a purpose to take your money. There is no any guarantee on a statement made at the broker’s website, thus do not believe on every statement, specifically about its registration status, but carefully check on through official regulatory sources. Scams often present themselves as a reputable firm with professional data, an allured attractive possibilities of high gains and fast outcomes. Yet, often its all faked, always remember because information looks official, it does not mean it is. Always verify the broker’s registers before dealing with them and check on the reputation, as well read Forex Brokers reviews. Probably, if the firm is not authorized it is a high risk to be a scam. You can always check Warning lists issued by the industry authorities and of course, you should consider strongly any issues, as well review the List of Brokers to Avoid. In case you fall, a victim of Binary Option scams, at first you should immediately recall the credit card and try to withdraw funds from an account. Because scams are likely located overseas, there is almost no way to get any money back or to receive any sort of support. The typical traders complain included refusal to credit accounts or return funds and in fact, are not able to be supported further, as simply the company is not regulated or compensated by anyone. However, you should report a scam to specified authorities and better to access a specialist to advise on your following steps. 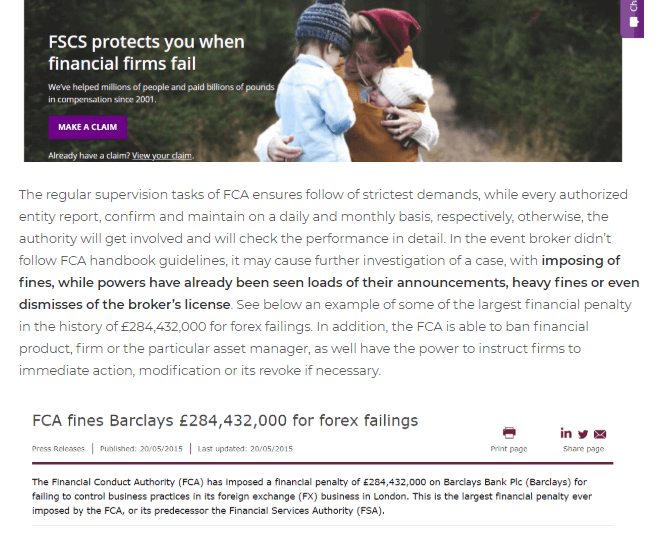 The regulators like UK’s FCA, Australian ASIC, Cyprus CySEC or others provide an open and well-guided complaint procedure, therefore you should contact authority immediately in case there are any concerns. If you invested with a non-regulated entity, there is no investment protection applied, as well as there is no established compensation, unlike the Regulated Forex Brokers status provides. Overall, it is very high risk, noting facts and issues happened to thousands of investors around the world, to engage in Binary Options trading. We can not recommend trading with binary option brokers due to the revealed facts and numerous warning issued by the trusted authorities around the world. We value a transparent operation and investment service, therefore both reliable and trusted brokers will be always regulated and authorities in terms of their offering and performance. On the contrary, we offer to check out a list of Regulated Brokers and description of their investment proposal, which is available by the link. Who are Forex Trading or Forex Broker scams? How they work? How to avoid scams or what to do if you already scammed? We are here to answer all typical questions traders might have, as an increasing flow of trading scams with sophisticated attempts that target, actually, everyone with promises of miraculous gains, high returns and chances to trade in Foreign Exchanges, CFDs, Binary Options or other derivatives. However, the main aim of scammers is to get your money or personal details. Everybody likely to be a victim of a scam that is why you have to know how to protect yourself and spot fake offering. With an alert in your mind that scams do exist, any trader or investor should deal with any business offering or uninvited contacts very carefully. In fact, a detailed check of the information about the potential broker, its official legal data, and their compliance to service providing standards and of course implementation of protective tools, stand at the glance of any further steps. Many firms pretend to be a legal entity or username, registration number from the regulated broker while pretending to be official but in fact are just clone firms. Scammers also might claim to be an overseas firm and initially succeed to look like a real brokerage, as technology is getting smarter. Do not believe on every statement the broker’s website may say, specifically about its legal registration or authorization status, as scams hiding themselves behind official data. Most of the information can be faked, while official license data is always open through the regulators websites and accessible at any time, so examine it carefully. The reality is that only officially regulated brokers should accurately state any sentence and provide the exact service as every word mentions on the website, since the authority checking on it. In return, the rest of “firms” can promise whatever looks and sounds like a very attractive investment opportunity with the highest potential gains, but in fact, no one guarantees its nature. Just because the information looks official and true, it does not mean it is. Furthermore, as the scammed traders report most often the broker will allow very small initial deposit as an exclusive offering, run attractive, allegedly smooth trading experience and even process some withdrawal just to give a successful impression that there is nothing to worry about. However, further on the trader may invest more money with a purpose of higher gains and sooner or later the returns will end, the account might all of the sudden become blocked or trader will face manipulation on price feed during a trading session and the balance had gone. Another typical scam issue happens with withdrawal processing, the funds getting stack in the account or the trader receives ignorance, with no response or the company accused of unreasonably withholding the money of its clients. Unfortunately, these practices are very common among frauds and every trader should size actuality of non-regulated firms that simply operate traders, their accounts and funds by their own way, with no reporting or control from any authority, therefore those firms most likely scams. Do not open or click on the suspicious links, and keep your devices and computers secure. Be very cautious while dealing with any representative, as the scammers may reach you out through any available source like email, social media, various chats or website and most often will try to get into your trust. A further scenario will go to an attractive offering in quick and high gains with no bother. Keep your personal, identifiable and money information secured, never share any sort of documentation with representatives personally. Do not agree to send money or give credit card details to someone, as well as beware about unusual payment processing methods and payment requests, which often includes virtual currency like Bitcoin. Do not respond to rush in account opening or call to act immediately due to some sort of “hot offer”. Scammers usually use high-pressure tactics to get you to fund the account soonest possible, but it is not a good idea to make a fast decision without prelaminar careful review and consideration of all risks involved. Always verify the broker’s registers before dealing with any firm and check on their reputation, as well read Forex Brokers reviews. Probably, if the firm is not authorized it is a high risk to be a scam. You can always check Warning lists issued by the industry authorities and of course, you should consider strongly any issues, as well review the List of Brokers to Avoid. 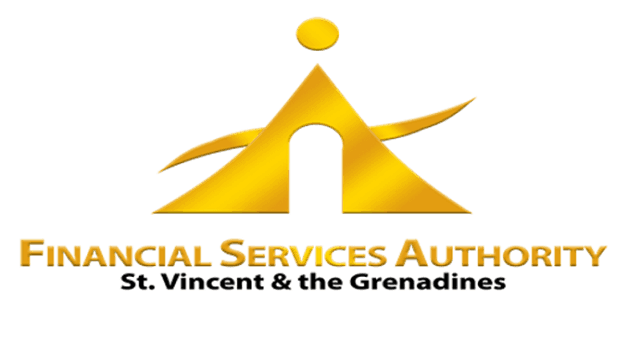 In case you got already scammed, well, you should report a scam to specified authorities and better to access a specialist to advise on your following steps. The regulators like UK’s FCA, Australian ASIC, Cyprus CySEC or others provide an open and well-guided complaint procedure, therefore you should contact authority immediately in case there are any concerns. If you traded or invested with a non-regulated entity, there is no investment protection applied, as well as there is no established compensation, unlike the Regulated Forex Brokers status provides. In addition, you should keep an eye further as those who became victims of scams are likely to be targeted again by other companies, as simply scammers sell out the information about potential investors further on. Scammers can trick you with a strong attempt to convince in their genuine financial trading service, yet getting only to hand over money. You should make sure that any offering or investment advice from the company or representative is a legal and strictly overseen service. We advise seriously consider only reputable financial advice or guidance before investing, as well as to do your own research. Always check on the firm attentively, read out the Forex Brokers Reviews, confirm registers and do not rely only on the information provided by the potential company. And of course, better choose your trading brokerage among Regulated Forex Brokers. If you think the company or another is likely to be a scam, do not deal with them any further and report broker to the particular authority.